This recipe makes a reappearence on my table again and again lately. I hope you enjoy it as much as I do. It’s a really quick and healthy fix for any sweet craving I have. 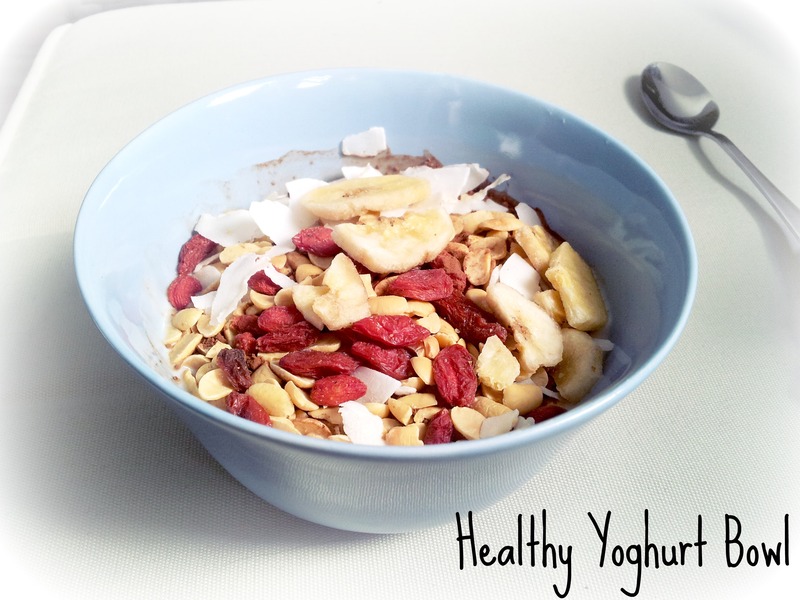 This yoghurt bowl is a great pre- or post workout snack and also a great breakfast. Whenever I get one of these bad munchies I try to have such a yoghurt bowl as it is so extremely satisfying and healthy. What is your favorite yoghurt bowl topping?